Those who met the CPF Full Retirement Sum (FRS) are allowed to withdraw their CPF monies above the FRS. But what many did not know is that it is not necessary to withdraw in one lump sum. Instead, the CPF withdrawal can be made over a period of time. Using this method, it is possible to create a second stream of passive income. 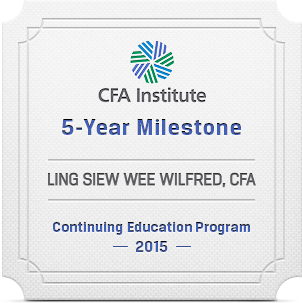 The first stream of passive income is the CPF Life. Thus, I have created an online calculator to do just that. The calculator also take into account of the additional 1% interest for the first $30,000 for those above 55 and as well as the extra 1% of the first $60,000 (up to $20,000 from CPF-OA) which is applicable to everybody. Moreover, it takes into consideration of existing CPF withdrawal priority rules. My online calculator can be used to compare products. I always get enquries from individuals who are not sure whether to withdraw their CPF in one lump to purchase retirement products or to leave it inside their CPF. If they do leave their money in CPF, they are unsure what that really means. It must be noted that my online calculator is only for those who have already set aside the Full Retirement Sum. Moreover, the online calculator is only for those who are absolutely familiar with CPF rules as decisions made using CPF are normally irreversible. If unsure, you can always approach yours truly – me. Example 1: Should I withdraw my CPF to buy a guaranteed life annuity? Alex (a fictitious person) is 55 years old and he wants to retire at 60. His CPF-OA balances currently is $450,000 and CPF-SA is $50,000 (typically the CPF-SA balance is very low due to the transfer of the money to CPF-RA at 55). As he has already set aside his CPF Full Retirement Sum, he is permitted to withdraw the entire $500,000 from his CPF-OA and CPF-SA. The following are the parameters to key into my calculator: CPF-OA=450000; CPF-SA=50000; Current Age=55; Age of 1st withdrawal = 60; Percentage increase of withdrawal each year = 0%; Final age of withdrawal = 100. The calculator shows that if Alex would to let his CPF stay inside the CPF, he can withdraw $21,867.52 a year starting 60 years old until he is 100 years old. He is considering to withdraw this lump sum to purchase a guaranteed life annuity product for a single premium of $500,000 and deferred period of 5 years. The yearly payout from the annuity is $24,262.50 (guaranteed) and projected to increase by 2% per annum. 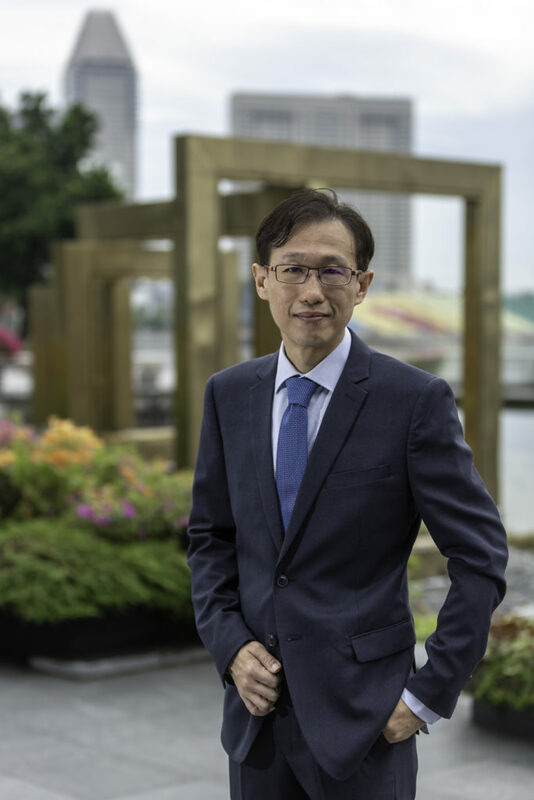 Since the guaranteed life annuity product is able to payout an income higher than CPF withdrawal until 100, he should withdraw a lump sum of $500,000 from his CPF to purchase the product. Example 2: Should I withdrawal my CPF partially? Mary is 56 years old. She has CPF-OA of $400,000, CPF-SA of $70,000. She intends to use CPF-OA to purchase a property but wonders whether to withdraw all her CPF-SA to purchase a retirement product. The retirement product of single premium $70,000 pays $2212.00 a year starting 65 for 20 years increasing at 3.5% per annum. The following are the parameters to key into my calculator: CPF-OA=0; CPF-SA=70000; Current Age=56; Age of 1st withdrawal = 65; Percentage increase of withdrawal each year = 3.5%; Final age of withdrawal = 84. The calculator shows that if Mary would to let her CPF-SA remains inside the CPF, she can withdraw $5,212.95 a year starting 65 years old for 20 years increasing at 3.5% per annum. Since the CPF Withdrawal method payout exceeds the retirement product’s payout, Mary should not purchase the product and allow her money to remain in the CPF-SA. Example 3: How much I can withdraw from my CPF each year to fund my traveling expenses? John is 59 years old now. His CPF-OA is $600,000; CPF-SA $50,000. He intends to retire at 65. He intends to withdraw his CPF over a 15 years period because he want to travel round the world. Hence, he expects a large retirement expense during the first 15 years. The following are the parameters to key into my calculator: CPF-OA=600000; CPF-SA=50000; Current Age=59; Age of 1st withdrawal = 65; Percentage increase of withdrawal each year = 0%; Final age of withdrawal = 79. The calculator shows that if John would to let his CPF remains inside the CPF, he can withdraw $ 59,817 a year starting 65 years old for 15 years. Below is the CPF calculator you can try for free to help you determine how much you can withdraw from your CPF over a stipulated period of time. For example 2 – Mary or any CPF members above 55 cannot dictate which account they want to draw their money. Any withdrawal will be taken from the SA account first then OA. So if Mary withdraw $400000 the remaining $70K will be in her OA account. Mary should not withdraw $400,000 in cash to buy property. She should simply buy the property and tell the lawyer she is going to use CPF-OA to buy the property. In this way, the entire CPF-OA will be deducted for the property purchase. This is the rule under the Private Properties Scheme or the Public Housing Scheme (for HDB).